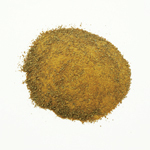 All Specialty Products | Spices Etc. 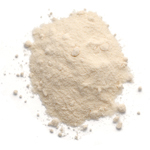 Did you know that cheese, wine and even soy sauce is available as ready-when you-are powder? 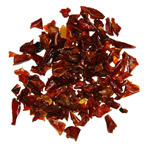 If you haven't cooked with these before you're in for some real fun with flavor! 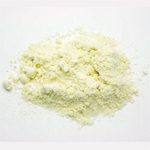 Cheese powder can be used in sauces, on baked potatoes and even sprinkled on popcorn; try Parmesan, cheddar or bleu cheese. Soy sauce powders are terrific in stir-fry; spray-dried and made from naturally brewed Kikkoman Soy Sauce, they make marvelous marinades. If you love living and cooking outdoors, take along wine powders for all of the flavor, but none of the hassle of a bottle. 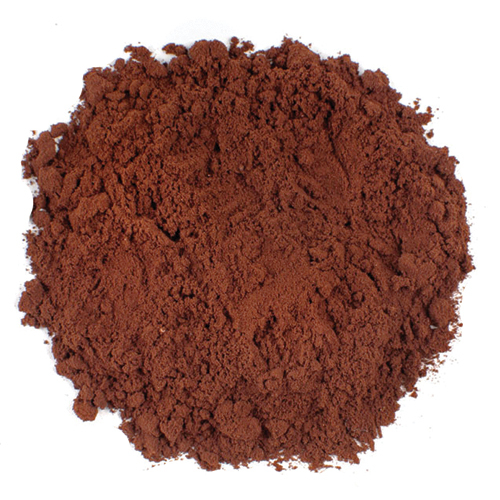 Chablis, Burgundy or Sherry powder – you choose. Specialty Seasonings and Ingredients have a wide range of uses and flavors, but each can create a traditional dish or a new experience! Spices Etc. cheese powders are a great way to liven up a bland dish, while our wine powders are a great alternative to opening up a whole bottle of wine! 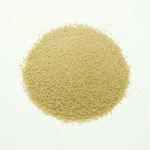 Stock powders are pure dried broth, what you would get if you boiled up meats with no seasonings, skimmed the fat and dried the result. 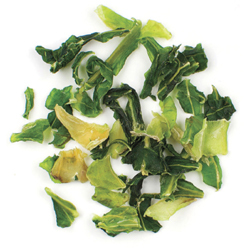 As they are completely unseasoned, they should not be used as a replacement for bouillon. 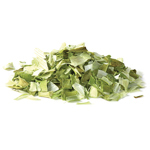 When using these products, know that they will be bland until plenty of salt, sugar and other seasonings are added. 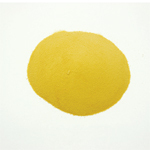 Stock powders may be used to boost the flavor of gravies or as a base for soups and stews. Use 2-4 Tbs. per quart to make plain stock. NEW! 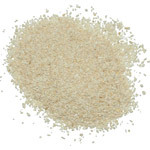 Basamti Rice is a long grain rice with a high fiber content. 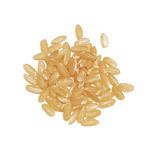 Substitute this rice wherever a recipe calls for brown rice...great flavor and aroma. Basic Preparations: Place 1 cup of rice and 1.5 cups of water in a pot with a lid. Bring to a boil, cover, reduce heat and simmer for 20 minutes. Remove from heat and let stand 5 min. Season as desired and fluff with fork before serving. 1 cup dry yields 2.5-3 cups cooked. 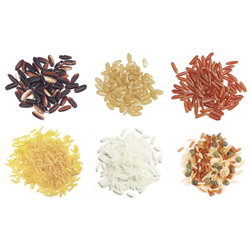 Suggested Use: Basmati can be used whenever a long grain White Rice is needed. 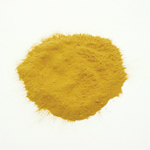 It's most often used in South Asian cooking. 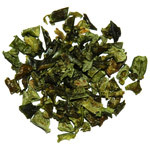 The nutty flavor and firm texture go well with spicy curries and stir fry. A good choice for stews and soups. Blue Cheese Powder and dried cheeses in general are perfect for boosting flavor, as a topping for baked potatoes, or baked into breads. 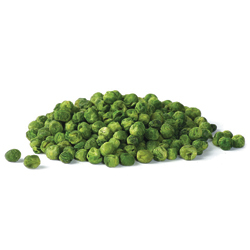 Also nice as a seasoning for snacks. 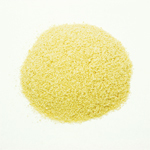 Blue cheese powder may be rehydrated into a sauce by adding warm water. May be used to boost the flavor of supermarket salad dressings. 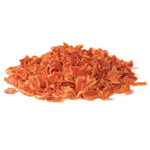 This is a seaonal colored blend of some of the best lentils, red, yellow, black, brown, and white lentils. Basic Preparations: Lentils do not require soaking. Simmer 1 cup lentils with 4 cups water 6-8 minutes for salads, 10 minutes for main dishes and 20 minutes for soups and purees, drain. Skim the water while cooking. One cup dry yields 2 cups cooked. 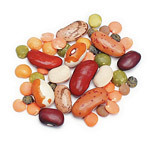 Beans are a wonderful source of high quality protein. 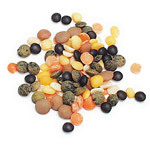 This blend is filled with a variety of beans from Rattlesnake Beans to Black Eyed Peas. Basic Preparations: Soak overnight. 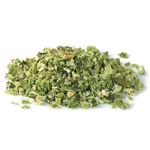 Rinse and place in a large pot and cover with fresh water. Bring water to a boil for 3 minutes, reduce heat and simmer, covered, for 2 hours until tender. This bean blend produces foam, so skim the water regularly while cooking. One cup dry yields 2-1/4 cups cooked. 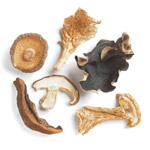 Forest Blend is a delicious, woodsy blend of Shiitake, Porcini, Oyster, Bolete, Woodear and sliced Shiitake. Compliments light meats and fish very well. 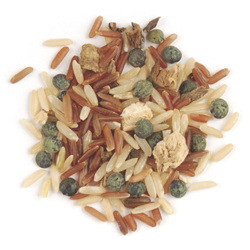 French gourmet rice blend is a mixture of Himalayan red rice, long grain brown rice, French lentils and earthy dried wild mushrooms. 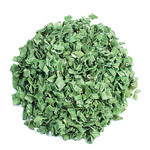 It is the awesome combination for soups, stews or side dish. Basic Preparations: Combine 1 cup French Gourmet Blend, 1-3/4 cups water and a pinch of salt in a saucepan set over high heat. Bring to a boil, immediately reduce heat to a simmer, cover with a tightly fitting lid and cook for 30-35 minutes. Remove from heat, let stand 5 minutes, fluff with a fork and serve. 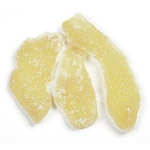 Crystallized ginger is fresh ginger that has been peeled, boiled in sugar and water, dried and coated with sugar. 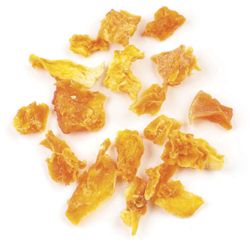 Crystalized Ginger may be added to chutneys or eaten plain. 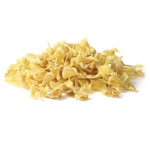 Chop and add the crystalized ginger to banana bread or sprinkle on top of whipped cream on top of warm apple pie. 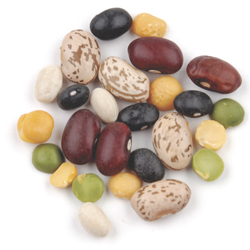 Gourmet Bean Blend is a step saver in the kitchen whenever a recipe calls for multiple legumes. The split peas thicken the soup or stew while the blend of beans gives a dish eye appeal. Create a cold bean salad dressed with olive oil and herbs, or make a savory bean and sausage casserole, itis versatile and easy to use. 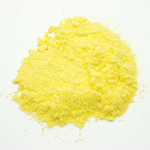 Basic Preparations: Rinse and place in a large pot and cover with fresh water. Bring water to a boil for 3 minutes, reduce heat and simmer, covered, for 2 hours until tender. This bean blend produces foam, so skim the water regularly while cooking. One cup dry yields 2-1/4 cups cooked. 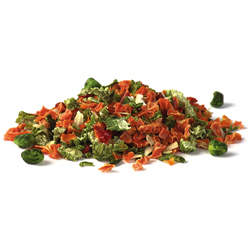 Grandma's Bean Blend offers a colorful variety of beans. 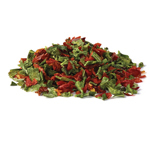 This blend is a step saver in the kitchen whenever a recipe calls for multiple legumes. The blend of beans gives a dish eye appeal. 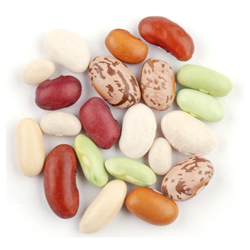 Grandma's Blend consists of the following legumes; Cannellini Beans, Pinto Beans, Light Red Kidney Beans, Great Northern Beans, Black Turtle Beans, Flageolet Beans, French Navy Beans, and Small Red Beans. Basic Preparations: Soak overnight. 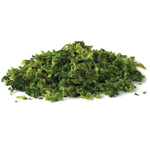 Rinse and place in a large pot and cover with fresh water. Bring water to a boil for 3 minutes, reduce heat and simmer, covered, for 2 hours until tender. This bean blend produces foam, so skim the water regularly while cooking. One cup dry yields 2-1/4 cups cooked. 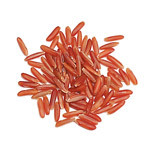 Himalayan Red Rice is grown in South Central Asia and has a deep red color with an excellent nutty flavor. Basic Preparations: Add 1 cup rice and 2-1/4 cups water to pot. Bring to a boil over high heat. Cover, turn heat to low, and simmer for 40 minutes. Fluff with fork before serving. 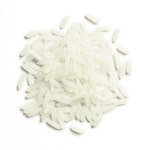 Jasmine Rice is fragrant and aromatic with a very soft and delicate flavor. Wonderful taste! Basic Preparations: Place 1 cup of rice and 1.5 cups of water in a pot with a lid. Bring to a boil, cover, reduce heat and simmer for 20 minutes. Remove from heat and let stand 5 min. Season as desired and fluff with fork before serving. 1 cup dry yields 2.5-3 cups cooked. 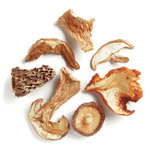 The Northwoods Blend is filled with Lobster, Morels, Porcini, Oyster and Boletes mushrooms. 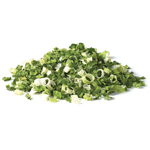 Add to beef and pork recipes, or for a real treat, add it to your vegetable soups or rice dishes.